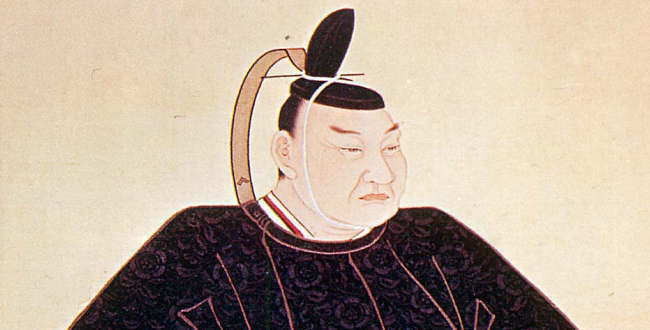 Each time I start to research the fascinating subject of the execution grounds of Edo period Tokyo, I keep coming across the name of the Shadow Shogun Ii Naosuke. Admittedly he wasn't actually responsible for them and granted the word "fascinating" is being used under a somewhat liberal interpretation, but he did make hay whilst the sun shone. Rising from relative obscurity as the fourteenth son of a regional warlord he was born lucky, seeing his older siblings either adopted or deserting this mortal coil at opportune moments and ultimately became heir to a hereditary seat of government as Daimyo of Hikone. 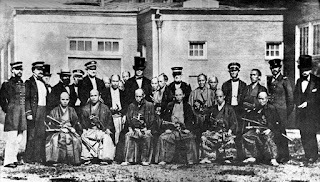 Eventually, by taking advantage of a legacy, and relatively unused, Shogunate position of Tairo, he rose to become Grand Elder to the Shogun and, in the summer of 1858, he engineered the signing of the Harris Treaty, formally establishing the terms and conditions of engagement between Japan and America. Much to the annoyance of many of his fellow ministers. However he took dissent in his stride and once his once the opposition had shown its complete hand, he had a fair number of them executed to shut them up in what became known as the Ansei Purge. Which brings me full circle to the actual execution grounds themselves. Though on a side point Ii was himself assassinated in the spring of 1860 by relatives of many of those caught up in the "realignments" of the previous months. And so if you find yourself on the Hibiya Line near Minami-Senju in North East Tokyo and you hear the screeching of brakes, it might not actually be the brakes that are screeching but the spirits of days gone by. Some 200,000 are estimated to have been cumulatively executed in the grounds of Kozukappara there over a period of some two centuries from its beginnings in 1651. Japan wasn't that big on incarceration as punishment in those days.